As a firm fan of seafood, calamari is always on my radar when I’m eating out. It was only recently, however that I discovered just how easy it is to make at home. 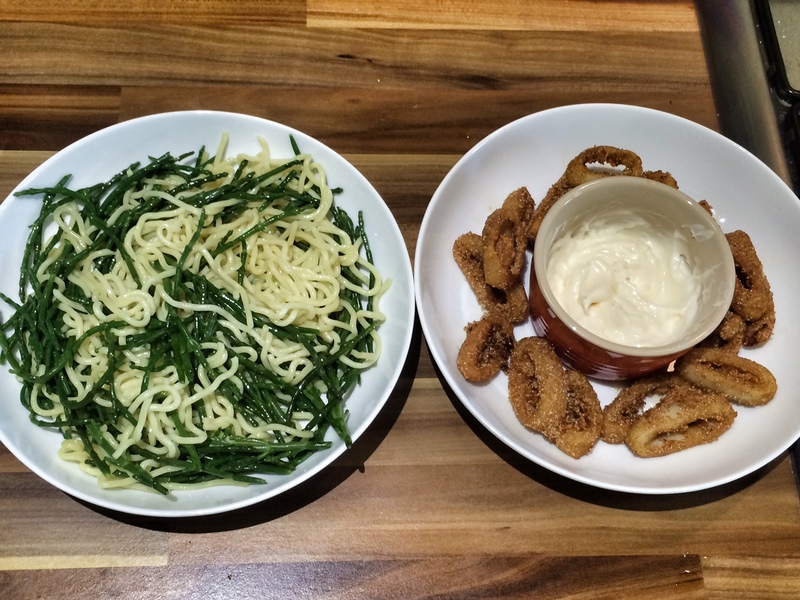 I’ve whipped up a quick garlic mayo and served with samphire (a sharp-flavoured coastal vegetable that goes well with seafood) and noodles to show you just how quick and easy it is. 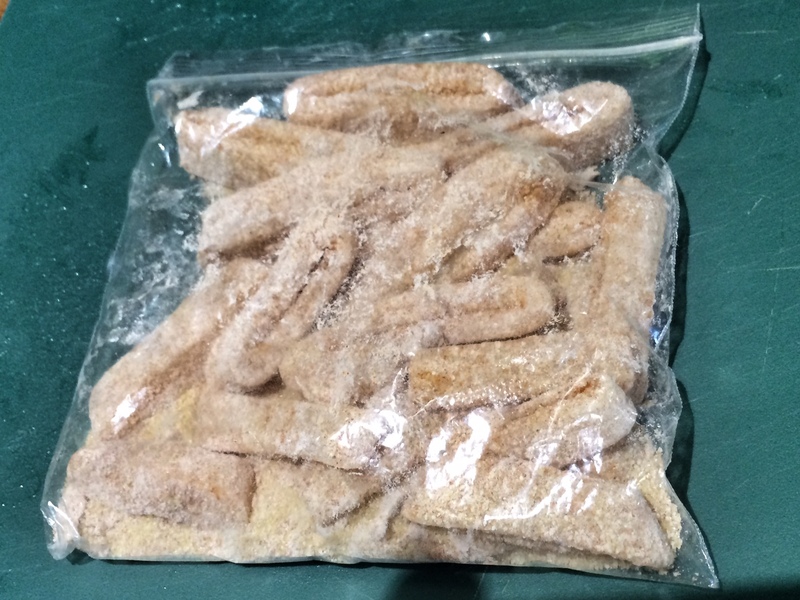 I was prompted to post this recipe by my trainer, who likes to indulge in calamari too, but hadn’t realised just how easy it was to make…hopefully now it will be added to my ‘allowed list’ on my food plan, although that may be wishful thinking…. Firstly prepare the garlic mayo. Finely grate the garlic clove into the mayonnaise and mix together. Put in a serving bowl and set aside. For the calamari, in a sealable sandwich bag (or a shallow bowl if you don’t have any to hand) add all the dry ingredients. Then cut up the squid into rings and pop into the bag and seal. Shake it all about until the squid is lightly coated. Add the oil into a wok until it’s 1½ – 2 inches deep. Turn the heat up high. It will take a couple of minutes for the oil to get hot enough. You can test it by dropping a small piece of bread in, which should turn golden brown. Gently drop the calamari into the hot oil. Don’t add too much so that the wok is over-crowded else the oil will cool too much – it’s ok to do it in 2 batches if necessary. The calamari should just take 3 minutes to cook. Once golden brown, remove with a slotted spoon, fish slice, thongs or whatever you find easiest and place on a plate lined with kitchen paper, which will absorb the excess oil. 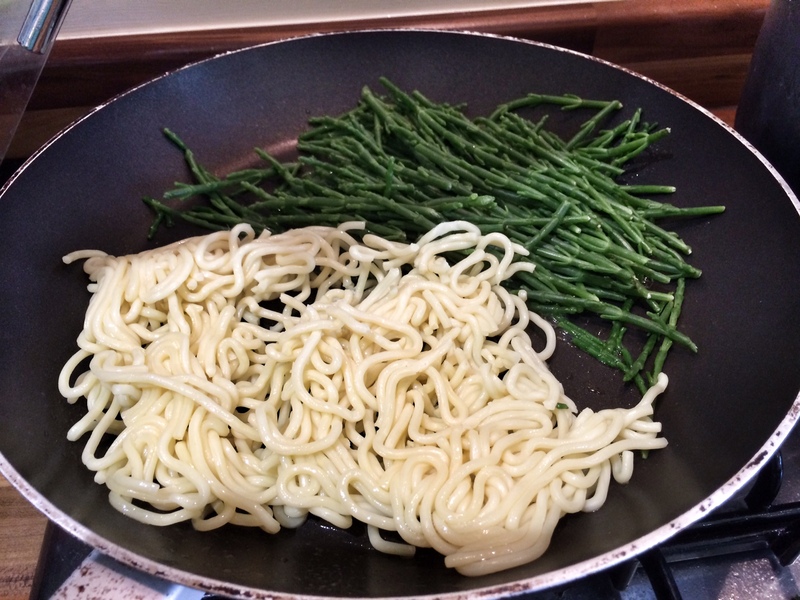 In a separate frying pan, add the sesame oil, then toss in the noodles and samphire and stir around. This will just need a couple of minutes to heat up. Serve everything together and enjoy with a chilled beer and glass of white wine.